Since its formation in 1852, Great Ormond Street Hospital has been dedicated to providing the finest care to desperately sick children. Great Ormond Street Hospital Charity has always depended on charitable support to provide a world-class service to children with rare and complex conditions. Every day brings new challenges at Great Ormond Street Hospital (GOSH). Every day, 618 children and young people from across the UK arrive for life-changing treatments. 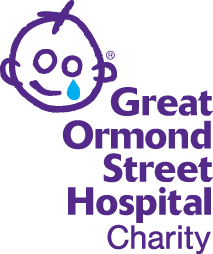 Whilst the NHS funds the day-to-day running of the hospital, Great Ormond Street Hospital Children’s Charity must raise at least £50 million each year to help the hospital maintain its position as a world-class centre of excellence in paediatric treatment, training and research. Despite the greatest challenges a child can face, the hospital is a place where being sick does not always mean being sad. And it’s a place where you’ll find – today and every day – some of the bravest people you could ever meet. This extraordinary hospital has always depended on charitable support, and every day is a chance for you to make a difference. The rebuilding and refurbishment of the hospital’s wards and medical facilities. Pioneering research to find treatments for the most complex childhood illnesses. Research ranges from revolutionary gene therapy to tailor-made organs for transplant. Giveacar and its donors are proud supporters of Great Ormond Street Hospital Charity as they work hard at finding treatments for complex childhood illnesses. If you’re planning to scrap or sell your car, give a car instead to help those suffering from these rare conditions. Your donation can ensure patients have state of the art medical equipment. Do a good deed and help Great Ormond Street Hospital Charity when you donate your car to charity.